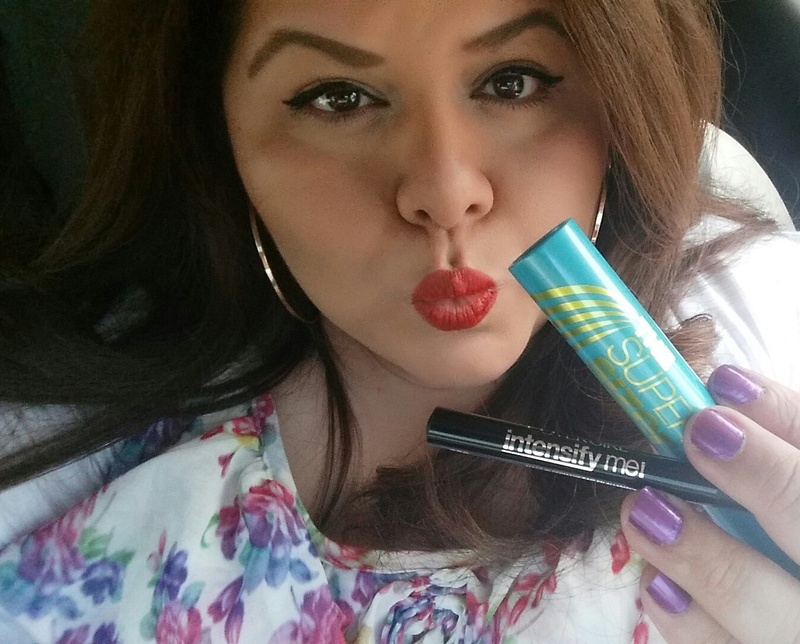 A few days ago I was sent COVERGIRL’s new summer products to try so I wanted to do a quick review and share my thoughts on The Super Sizer Mascara and the Intensify Me Eyeliner. Inspired by Fashion Week runways these two items were designed to create dramatic looks and give you big bold beautiful eyes. So, did they live up to the hype? Keep reading. This new paddle-shaped liner makes it easy to define your eye and master the elusive cat-eye. The shape gives you the control of a pencil and the intensity of a liquid liner which I loved! I found it to be extremely easy to use and liked that you’re able to control how thick or dramatic you want it. If you’re looking for an affordable liquid liner I would definitely recommend. This mascara claims to deliver maximum mascara with its shorter bristles, but I’m not so sure. I think I still prefer the thicker longer bristles like the ones found in the LashBlast collection. At least for my eyes anyway. I have small short eyelashes so I look for more volume and curl with my mascaras. But what I did like about it was that it was easy to apply to my bottom lashes and I should also mention that I found this to be a good finishing mascara. If you’re like me and like to double on the mascara, it works great because you can go back and intensify the lashes and add length without causing clumping. The Intensify Me Eyeliner and The Super Sizer Mascara are slated to hit stores nationwide July 15th. But, I’ve already seen some trickle into stores and online, so be on the lookout!